What does the word “play” mean to you? Do you associate it with any person or thing in particular? 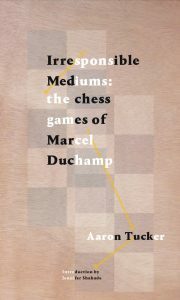 What is your personal relationship to chess? What is your personal relationship to games in general? Do you know any pieces of art that include games (or chess specifically)? Are there particular essays or articles (on the topic of computers, art, games) that come to mind when thinking about this project? What is your relationship to computer generated poetry? Computer-generated art? To computers in general? What is the (contemporary?) relationship between computers and art (or poetry specifically)? What roles do collaboration and/or competition have in generating art? What role do they play in games? What role do you think constraint and rules play in art? In computing? 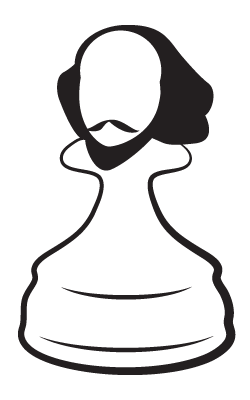 How do you approach the potential “shared” authorship that the Chessbard evokes? Who or what is generating these poems? Does authorial “credit” matter in this project? If you are interested in contributing, please contact Aaron at atucker[at]ryerson[dot]ca.